December 2016—the year I took control of my drinking. Perhaps like you, I’d grown concerned about how much, and how regularly I was consuming alcohol. I knew the side-effects, and I didn’t like them—insomnia, depression, aggression, muddled thinking, bloating, weight gain and more. I tried to cut back and even stop, but couldn’t quit. One month of sobriety was the longest time I’d ever managed to not let a single drop of alcohol pass my lips. I tried reading books, used self-hypnosis, made a star-chart and ticked off my alcohol-free days. There were two ticks one week, none the next, then some longer stretches. But despite my positive intentions and extraordinary will booze always ended victorious. Until Christmas 2016 when I finally got angry—and scared—enough to make a change. To protect others’ privacy I won’t go into detail, suffice to say my turning point involved a rifle, shots fired, and fearing for my life. But my motivation and my personal story of alcohol harm began earlier than that. My grandmother was an alcoholic, her father was too—and both their stories, like many people affected by alcohol, was one of tragedy. In the 1930’s a drunken brawl outside the local pub in New Zealand left one man dead and my great-grandfather charged with murder. My grandmother was four, and her brother aged six when they were taken into foster care. They never saw their mother, father, or each other again. I’ve always wondered had it not been for the trauma Molly experienced as a child, and throughout her life, would she have sought happiness in a bottle? The tragedy didn’t end there. Years later her brother, then in his 30s and married with three children, took his life. Their story, my story, your story is a far too common one. “My step-father was an alcoholic and I lived through rough times with alcohol,” a reader shared with me as I wrote this book. Hope, as you read through this book, is an important element of any recovery—as is a desire for change. For many, many people complete removal of alcohol is the only cure. Our booze-loving culture does not make this easy to achieve. Many people don’t know why they drink, nor how to find alternative help. I have written this book to change that. This book is not an anti-alcohol book, although I don’t sugar-coat the truth about booze, and the powerful economic and social forces that profit from misery. Mind Your Drink offers a fresh approach, encouraging you to be more mindful about your relationship to alcohol, and the reasons you drink. While I feel it’s important to highlight the dangers of drinking too much, my aim is to highlight the life-changing benefits of drinking far less. 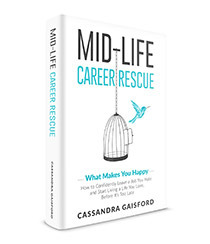 Importantly, I’ll share some simple but effective ways to build greater resilience to triggers, and provide alternative strategies to—not just survive life, but love life—without trying to find happiness in a bottle. You’ll also learn how to mix, mingle and practice sober socializing—and still feel happy. In 2014, I was struggling through my psychology degree after a 10-year break from study. For years prior to this, I had been obsessively collecting newspaper articles which highlighted the social harm alcohol imposed. I didn’t know why, I just knew it bugged me. And I began to get frustrated not just at my own inability to control my own drinking, but why, when everyone knows the harmful alcohol creates, were the problems only becoming worse. Bored and frustrated with my studies and the tendency of Western psychological approaches to pathalogize alcohol dependence, I decided to research spiritual approaches to the treatment of alcohol addiction. 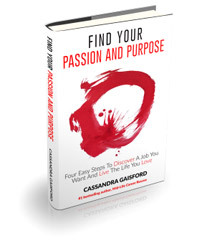 I went from D’s to A’s in my grades and found passion, purpose, and a calling. But importantly, I found something that resonated with me in my own quest to stop drinking. Drinking too much didn’t make me psychologically abnormal—as those who pathologize alcoholics, and alcohol-dependent people would have us believe. Drinking too much is a culturally sanctioned, actively encouraged ‘cure’ for the dis-ease of modern life. Except it isn’t a cure at all. It’s not a sustainable quick fix. It doesn’t heal the damage, stress and unresolved wounds of your past. Many people who have battled their alcohol addiction overcame obstacles just like you and I. But the single biggest factor was their ability to take control of their own life. Sometimes they deferred to experts. Sometimes they turned to God. Sometimes they joined a support group, or they embraced spontaneous sobriety and went it alone. But the one thing they all had in common was the knowledge that their drinking was taking more than it was giving. In every instance, when people nailed their drinking demons, they universally agreed that their life was more beautiful sober. The pursuit of sobriety born from my own experience, both professionally as a holistic psychologist, and personally as a woman with a genetic predisposition to alcoholism, fueled my desire and determination to liberate others from the clutches of booze. If I can help you gain new knowledge, enhance your awareness and stretch your mind—not necessarily agreeing with what I’m saying but at least starting a conversation, or helping others along in their lives in some way—then Mind Your Drink will have enhanced many lives. My hope is that you will discover freedom, find happiness, and change your life. And that one day, should our paths cross, you will tell me that your life truly is more beautiful. 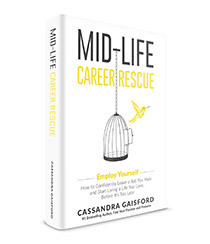 If you want to control your drinking and live a life on your own terms, this book is for you. If you’re a heavy drinker, or you love someone who is, Mind Your Drink will provide support and encouragement to continue the journey to health and happiness. If you suffer from stress, fear, doubt, or are excessively trying to fit in with others, Mind Your Drink will come to your rescue. Or, you might just want to inspire others and lead the way by controlling alcohol, either by cutting back or giving it up completely. This was one of my motivations for writing this book, and for sharing the strategies that have worked for me and also for my clients. We have to be the change we want to see. Part of this involves passing on the knowledge that we’ve learned. As you’ll discover throughout Mind Your Drink, many techniques which have helped people successfully control alcohol and overcome addictions have their origins in body-based healing. Others originate in the mind, others still by resolving harmful emotions. And then, there is the transcendent empowerment gained from spiritual approaches, including meditation, yoga, and prayer. I had originally thought to separate the chapters into mind, body, and spirit, but as everything truly is connected I felt it was important to present the information as such. Therefore, what you will find is a smorgasbord of offerings for you to digest at your leisure. All I ask is that you maintain an open-mind, follow your curiosity, and trust that with knowledge and the right support, you truly can heal yourself. Where to draw the line? When you’re worried that you’re drinking is getting out of control or are suffering from the effects of alcohol it’s likely you’ll want a quick cure. Something instant to take the pain away. I can honestly say, that I wrote Mind Your Drink to find my own quick-fix. But once I began to research, uncover the lies and awaken to the truth, this fascinating area became a full-blown obsession. As you’ll discover in this book cultivating new healthy purpose-driven cures can totally and quickly cure harmful addictions. You may not find all the answers here, I had to stop somewhere, but there are a great many helpful resources at your disposal—many of which lie within this book and some of which I have included in the Further Resources section towards the end of this book. We have always been told that drinking lots of alcohol will make us happy, cooler, more relaxed—that sobriety is for losers. These are big fat lies. These are also big fat lies. It’s also a big fat lie to say that only drug companies and their rainbow-colored pharmaceuticals are the only relapse-safe cure for addictions. 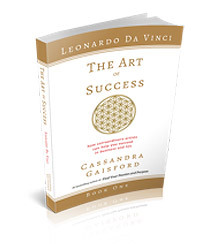 So, stop listening to people with hidden agendas, quit putting yourself down, and read this—really read and absorb this—because it will empower you to achieve the results you want….fast! Profit-driven alcohol companies may not be driven to make a difference, but I am. My hope is that you step into this journey joyfully, that despite any trepidation, you may have, that you’ll discover with surprising joy that learning to control alcohol is a pleasure that you will never forget to enjoy. “I work with people and their whanau/families on a daily basis who have, have had or have recovered from Alcohol and Other Drug issues. The damage caused by AOD overuse and abuse is enormous and has ongoing negative effects on our society and future generations mainly due to observation and learned behaviours. I really like the approach that this book takes in not attempting to stop drinking totally. It instead explains and coaches how to manage and cope with consuming alcohol so that the damaging effects may be minimised. This is a very useful supportive book for ‘drinkers’ and their families. It is a book that is very easy to read and understand. I really like the quotes, sayings and tools contained therein. 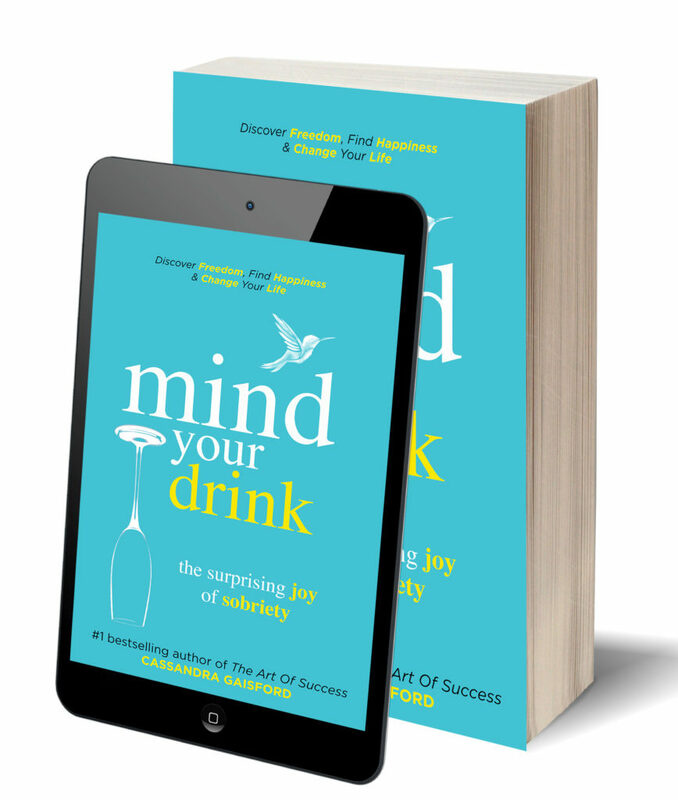 This book is much bigger than just the social and familial issues with alcohol – It is in a very big way about ‘Your Beautiful Mind’. It fits very well with my style of practice and that is to start with the basics and move onwards and upwards from there. I see in the book an AHA (awakening, honesty, action) moment in the book. I really get the reference to wisdom (The smart person knows what to say, the wise person knows when to say it) and the associated learning. I will be recommending this ‘must read’ book to my clients and their whanau/families and anybody else who will listen”. “One thing that I like about this book is that the author doesn’t trash other recovery programs whether she agrees with them or not. This approach is very different (and refreshing) from other books I’ve read that claim to be the “real or only solution” which involves tearing down other methods in the process, but as Cassandra’s book alludes–one form of recovery may work for some people and not others–it depends on the person, their physiology, background, life experience, etc. At first, I thought the segments about advertising would be boring but they actually really appealed to the part of me that loves science, facts, and proof. Reading the explanations led to many “Aha!” moments! I also felt so relieved to read there is a sober/not drinking movement going on. I felt relieved and hopeful. How I wish this was going on when I started my own drinking career in my early teens. I’m feeling so grateful to Cassandra for writing it. There is so much vital information packed into this book and I wish fervently that it ends up on the best seller list! “I like the content of the book a lot. As an ex-drunk who quit for both mental and physical health reasons, it’s very affirming. I like her comment that she’s yet to meet an ex-drinker who preferred life as a drinker. I think it will appeal to both people who are considering change and people who have made a change to their drinking and want both affirmation and some information so they can explain why to their friends. “I see people that I would love to give this book recommendation to. They need this in their lives-a few of who would not consider, they have any problem with alcohol, nor have any desire to stop drinking – but I liked this book because the message is that you take control of how you steer the ship. You can choose to decrease and manage your drinking or you can choose to omit alcohol altogether from your life. Alcohol is abused and I know a few young people (18-25yrs) that haven’t a clue of what they’re drinking or the impacts on them physically, mentally or emotionally. This is huge. Yet each and every week they are returning to the bottle to find some solace in drinking or in fact getting pissed. I love the connection Cassandra shares with herself in this book. The Sobriety Journal she mentions and has created is a fantastic tool – and I would recommend people use conjunction with this book and your own journey- it will do wonders. It’s a great reflective tool also to go back to down the track, as Cassandra has openly displayed herself. I am quite surprised myself about the new knowledge I gained from what I read in this book. And wondered why when I was drinking did I never stop to consider what I was drinking, what my drink was made of and how- never ever! I can remember thinking, I wonder how many calories are in this beer. Or how much sugar. But never looked it up as such, as I didn’t actually want to know at the time. I was in somewhat of a denial. I just wanted to consume it anyway. I quite often was sick in the evening or the next day after a binge. So this information needs to be shared and is available in this book. I think that’s fantastic. It’s not too complex. At first, I wondered if I would see my younger relatives reading this and relating to it. And thought, maybe not. But then when momentum picked up and the diverse realities were seen and heard – I thought it would relate to many soft spots they have and I hopefully allow them to take control of themselves and their drinking. “What an incredibly informative read. I really love how Cassandra has different viewpoints that allow the reader to come to their own conclusions. Mind Your Drink is a non-biased informative read based on various facts, research and readings and I feel it is a book that I could pick up time and time again, and that whatever is relevant to me at that time or moment in my life is what I’ll be able to take away when I pick it up. I loved that information was backed up by science and offered rhetorical questions and facts to get the reader thinking, rather than preaching or telling the reader how to do something. I loved the perception that it is more helpful to heal the root of our cause to drink, rather than try to blindly control alcohol consumption, and that each reader will feel empowered to choose their own method for sobriety rather than feeling like they have to stick to rules. (Who likes rules anyway!? ).